Don’t give in to those advertisements for a Shamrock Shake, make a healthy shamrock shake instead! Yes, we have all seen the commercials, and we have all seen the signs that the Shamrock Shakes are available for a limited time only at a popular fast food restaurant. A Healthy Shamrock Shake ready to be enjoyed! What is it about a mint flavored, green milkshake that gets everyone so excited? Is it the thought that Spring is just around the corner? Or is it because St. Patrick’s Day is an excuse to eat or drink anything that is green? Whatever the reason, year after year, those Shamrock Shakes are back and ready to ruin your diet. 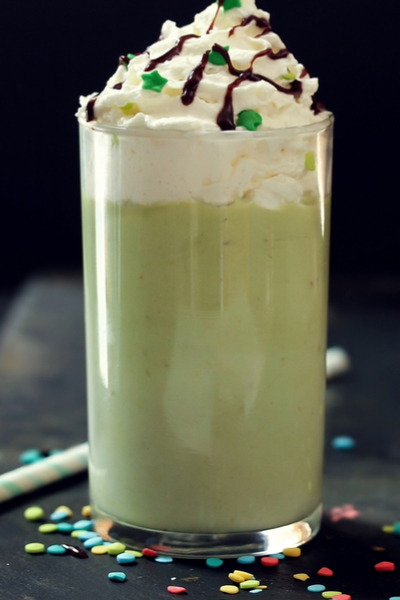 But now there is an alternative – Healthy Shamrock Shakes! 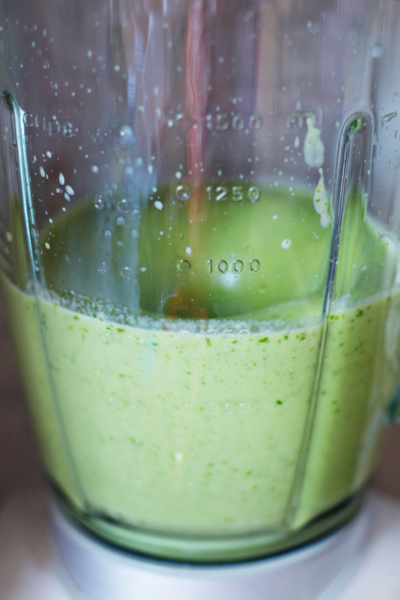 There are a couple of keys to making the best Healthy Shamrock Shake. 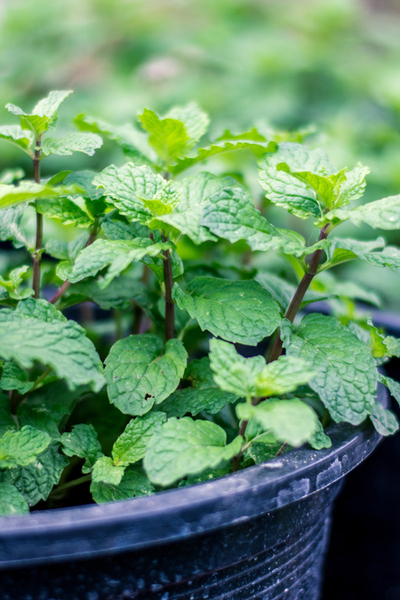 Fresh mint adds natural flavor to this recipe. First of all, be sure to use the milk that combines almond milk and cashew milk. This provides a consistency that more resembles a milkshake rather than a smoothie. Before freezing your banana, be sure to cut or tear it into chunks. This makes it easier on your blender and the it mixes more evenly than if left whole. And finally, be sure to add the ingredients to the blender as listed. The liquid should always go in first, and the frozen and harder to blend items are the last to get put in. Trust me, this will save on the life of your blender. And it will also give you a better mixed smoothie! Minty green smoothie in the blender. 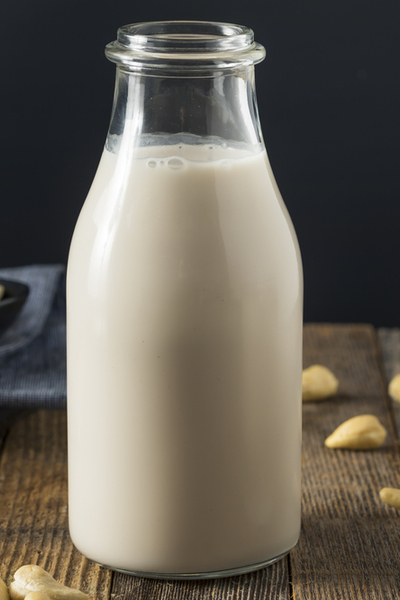 The blend of almond milk and cashew milk helps improve the consistency of the smoothie. In a high-powered blender, combine all the ingredients in the exact order listed. Blend until smooth. Add more milk as needed for desired consistency. 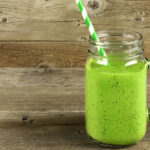 A delicious minty green smoothie that is a healthy and delicious substitute for Shamrock Shakes.